In our previous blogpost, we recommended five best B2B practices for a $30,000, six-to-nine months long digital marketing campaign using our Digital Marketing Budget Allocation Kit. Here, we shift our focus to B2C businesses. With B2B marketing, it is perfectly fine to use technical jargon and long, deliberate marketing funnels. However, B2C marketers are expected to appeal to the average consumer and come up with relatable, personable campaigns. How then are they supposed to do this on a budget? We recommend five best digital marketing practices for a $30,000, six-to-nine months long, B2C marketing campaign. Stat of the practice: "Small businesses with blogs generate 126% more leads." Many B2C buyers are attracted to content which meets their daily needs or appeals to them on an emotional level. One of the cheapest ways to create content like this is by starting and maintaining a blog. Compared to traditional mediums like print or television, blogs are cheap. A blog can easily be built into an existing website for free and maintained at a low cost. Tesco Living is a good B2C blog that creates content without spending too much. For example, their Life Hacks section offers tips and tricks for the yummy mummy with easy-to-follow instructions and ample pictures. Check them out to see how you can use your brand’s expertise to create similar content that will appeal to your target audience. There is no better way to advertise your products for FREE than with images and comments on Instagram! Once you have developed a community of followers, Instagram is a great way to let them know about the latest happenings with your brand. You can recycle the images and advertisements you have used on other marketing platforms with Instagram. Since the social media platform has no character count, you can also explain your products in depth. 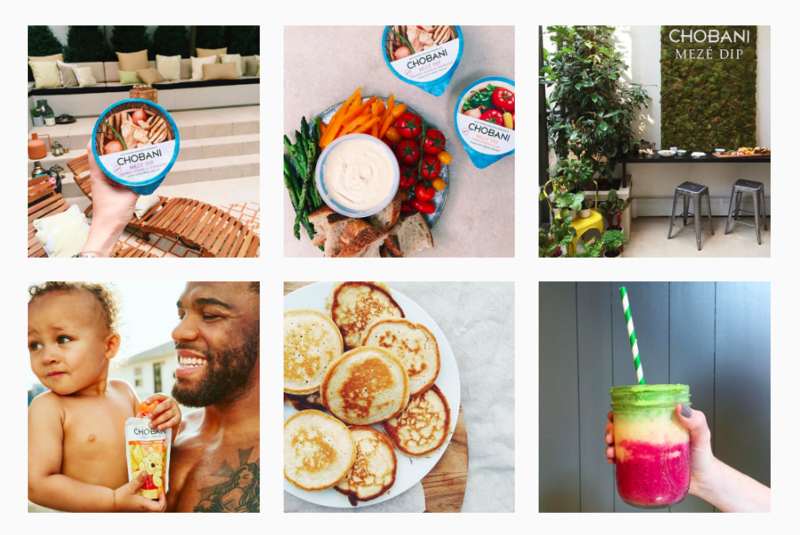 With colourful photos of an assortment of foods, Chobani is a great example of a brand that leverages Instagram to highlight their product. Giveaways are one of the best ways to engage your followers as people love to share good news about free things. This online marketing tactic not only helps to build buzz around your brand but establishes customer loyalty as well. Contrary to popular belief, not all giveaways are expensive. 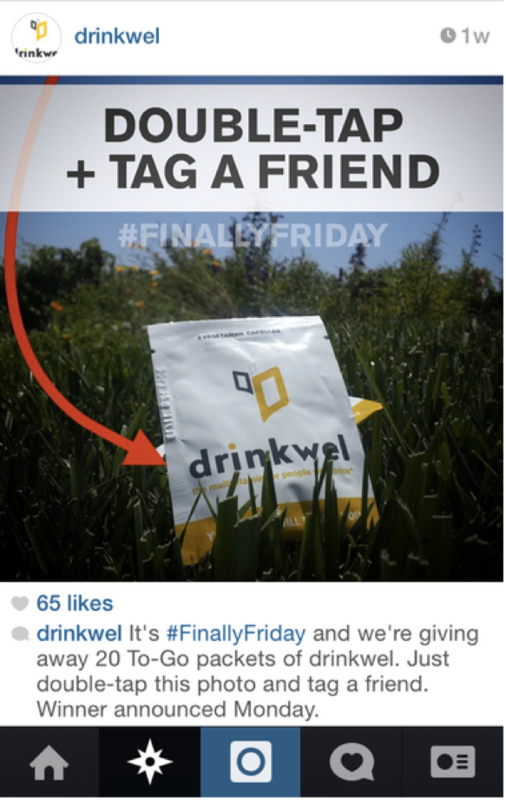 See Drinkwel's giveaway contest on Instagram. They gave away products to lucky followers who liked or tagged their friends in their post. Which brings us to our next point—Instagram posts generate a per-follower engagement rate of 4.21%, which is 58 times more engagement per follower than Facebook and 120 times more than Twitter. By putting their contest on Instagram, Drinkwel increased engagement with their followers and helped their business get more exposure for free too! If customers can’t find your product on a search engine, it will never be chosen. Search engine optimization (SEO) ensures visibility. By changing up a few words in your URLs, article titles and tags, your website can obtain a higher ranking placement in the search results page of a search engine. You can use the Google Adwords Keyword Tool to plan your SEO campaigns, get performance insights and see keyword ideas for FREE. For more industry expert tips and free listings, check out Google Places and Yahoo!Local as well. Did you know that in 2010, one man managed to secure a job with a clever SEM campaign for only $6?! Pay-per-click (PPC) links are one SEM tool that you can use to draw attention to your products and gain higher revenue. Learn the Google AdWords basics to better understand how this works. And that’s how you maximise your B2C budget! With these five simple tactics on a shoestring, you could find yourself reaping greater ROIs despite a small budget. Need help deciding what marketing channels best fit your budget and timeframe? Use our Digital Marketing Budget Allocation Kit! You’ll get your recommended digital marketing budget allocation, plus a cheatsheet that explains six common digital marketing channels and why they matter.